I entered this short story into a contest last year, and I thought I would share it with you now. Like a little child in a field of wild flowers, I skipped from the parking garage elevator carrying a picnic basket, similar to the ones Yogi Bear absconded in those old cartoons. The mouth-watering smells drifted from the wicker hamper – fried chicken, fresh rolls, banana pudding – all her favorites. I thought of my wife’s long blond tresses curled around her sparkly blue eyes and lightly freckled nose. The dimple in her cheek appeared whenever she smiled at my atrocious attempts at humor. The wood paneling gleamed under the wall sconces in the foyer. The tile floor clicked under the high-heeled pumps of employees hurrying from one meeting to another. I approached the massive reception desk and smiled at the woman behind it. She adjusted her headset. An odd expression crossed her face. I carried the basket down the carpeted hall to the indoor elevator and depressed the dark button. It lit. I waited. Angel would be delighted to see me. It had been a long time since I had joined her for lunch and a picnic in the sunshine would be the perfect birthday present. The voluble ding startled me from my thoughts. The metal doors parted like the waters of the Red Sea and I moved inside. I hummed along with the soft music as I rode to the 7th floor of the building. The doors opened again and a somber secretary greeted me. She straightened her glasses and placed her hand on my shoulder. I followed the snippy young woman passed the worker’s cubicles to Angel’s corner office. I drew back. Why was the door closed? The shades drawn? Angel always kept the blinds open to supervise the little ants in the workroom. The secretary rotated the door handle and gave the door a push. I stepped inside the brightly lit office. What happened to Angel’s desk? Her plants? Her computer? What had they done with her stuff? Three men had invaded her private space. I recognized one of them as my wife’s boss; surely he could explain. The other two sported familiar uniforms. The first – a long white coat. The second – a blue suit with a shiny gold badge. “Where’s my wife?” I trembled. What had they done with my wife? A warm hand touched my shoulder. I turned and gazed into her blue eyes. I glimpsed her golden hair, and her adorable dimple. A strange voice came from her lips. I grasped her hand and she led me from the lonely office. We paused at the elevator. Who was the old man in the warped reflection? He gazed back at me. Gray hair and wrinkles, the twinkle is his eyes — gone. When the doors opened, I clung to my daughter’s elbow as she carried the weighty picnic basket. “It’s her birthday.” I choked back a sob. 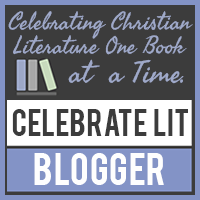 Why I write (and read) Christian Fiction.